Raseborg is a town and municipality of Finland. 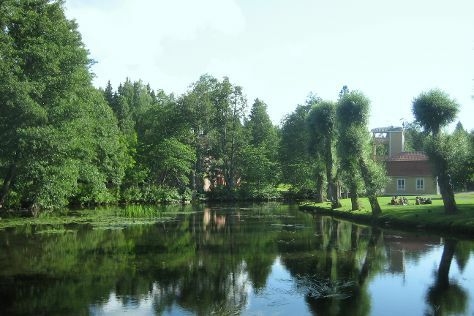 On the 31st (Wed), don't miss a visit to Fiskars Village, then explore the historical opulence of Raseborg Castle, and then don't miss a visit to Ekenas Old Town. On the next day, explore the striking landscape of Ekenas Archipelago National Park. To see reviews, ratings, photos, and more tourist information, refer to the Raseborg trip planner. If you are flying in from India, the closest major airports are Helsinki Vantaa Airport, Turku Airport and Tampere-Pirkkala Airport. In October in Raseborg, expect temperatures between 10°C during the day and 1°C at night. Cap off your sightseeing on the 1st (Thu) early enough to travel back home.